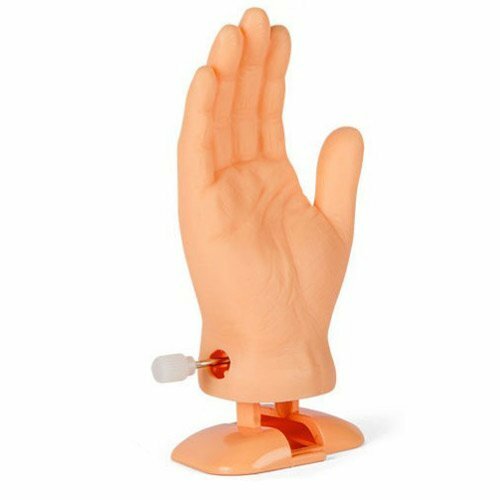 Made of soft vinyl and plastic, this 3-1/2" (8.9 cm) hand walks toward yourhand until they meet for a high five. Its automated awesome! Finally,technology does something useful. Illustrated window box.